Alleged Discovery -- Chi Pu Tei, a professor of archaeology at Beijing University, and his students were on an expedition to explore a series of caves in the pathless Himalayan mountains of the remote Bayan-Kara-Ula in Qinghai on the border of China and Tibet. The caves may have been artificially carved to be a system of tunnels and underground storerooms. The walls were squared and glazed, as if cut into the mountain with great heat. There were no epitaphs at the graves, but instead hundreds of one foot wide stone discs ("Dropa Stones") were found having 3/4 inch wide holes in their centers. On the walls were carved pictures of the rising sun, moon, stars, the land, mountains, and lines of pea-sized dots connecting the earth with the sky. Along with the discs, the cave drawings had been determined to be about 12,000 years old. 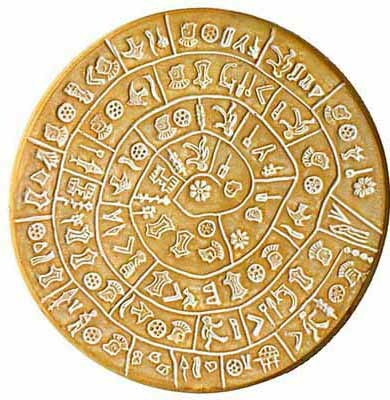 the edge to a hole in the disk's center, perhaps not unlike the Phaistos Disk. According to Tsum Um Nui, one of the lines of the hieroglyphs reads, "The Dropas came down from the clouds in their aircraft. Our men, women and children hid in the caves ten times before sunrise. When at last they understood the sign language of the Dropas, they realized that the newcomers had peaceful intentions." Another section expresses "regret" by the Ham that the aliens' craft had crash-landed in such a remote and inaccessible mountain range and that there had been no way to building a new one to enable the Dropas to return to their own planet. Dr. Tsum's report supposedly appeared in a professional journal in 1962. He was subsequently ridiculed to the point of self-imposed exile in Japan, where he died. The Peking Academy of Pre-history never allowed him to publish and never speak of his findings. "Tsum Um Nui" is not a real Chinese name, and critics suggest that Dr. Tsum may not have actually existed. However Tsum Um Nui is a Japanese name adapted to Chinese language. There is no evidence of him beyond the Dropa allegations. In 1965, Professor Chi Pu Tei and four of his colleagues were finally given permission to reveal their theory. They published it under the title "The Grooved Script concerning Space-ships which, as recorded on the Discs, landed on Earth 12,000 years ago". Most Neolithic Bi Disks were found in gravesites, buried beneath the head or feet of the deceased. It is theorized that this was to assist the deceased's spirit. 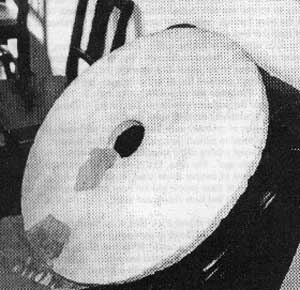 No Bi Disks have been found to contain writing or spiral grooves as described in the Dropa story by authors such as Hartwig Hausdorf. Russian scientists asked to see the discs and several were sent to Moscow for examination. They were scraped free of rock particles which had stuck to them and then put through chemical analysis. To the surprise of the scientists, the disks contained large amounts of cobalt and other metallic substances. What is more, when placed on a special turntable, according to Dr. Vyatcheslav Saizev, who described the experiments in the Soviet magazine Sputnik, they vibrate or "hum" in an unusual rhythm as though an electric charge is passing through them. Or as one scientist suggested, "as if they formed some part of an electrical circuit." At some time, they have clearly been exposed to extraordinarily high voltages. "They seem like ancient hard disks, spinning like the hard disks we have now days. Perhaps if we could read these ancient hard disks, we would find more answers." 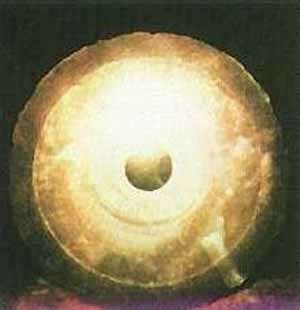 In 1974, Ernst Wegerer, an Austrian engineer, photographed two disks that met the descriptions of the Dropa Stones. 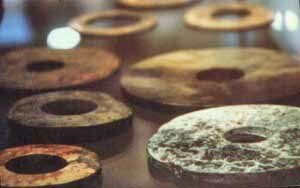 He was on a guided tour of Banpo-Museum in Xian, when he saw the stone discs on display. He claims he saw a hole in the center of each disc and hieroglyphs in partly crumbled spiral-like grooves. Wegerer was allowed to take one of the discs in his hand. He estimated their weight at 1 kilogram or 2 pounds, and the diameter at one foot. The hieroglyphs can't be seen in his photos, because they have crumbled away partly, and his camera's flash washed out the fine detail, such as the spiral grooves. In the years since the discovery of the first disc, archeologists and anthropologists have learned more about the isolated Bayan-Kara-Ula area. Much of the information has been interpreted as corroborating the story recorded on the discs. Legends supposedly still preserved in the area speak of small, gaunt, yellow-faced men who "came from the clouds, long, long ago". The men had huge, bulging heads and puny bodies and were so ugly and repellent that they were shunned by everyone. "Men with the quick horses" hunted down the ugly dwarfs. Strangely, the description of the "invaders" is said to match that of the skeletons originally discovered in the caves by Professor Chi Pu Tei. Critics have largely rejected the above claims, arguing they are a combination of hoax and urban legend. For example, writer David Richie notes that the Dropa tales intrigued Gordon Chreighton, a Fellow of the Royal Anthropological Society and Royal Geographical Society. Upon investigation, Chreighton judged the sensationalistic Dropa-Extraterrestrial allegations to be "groundless," and detailed his findings in an article for Flying Saucer Review. 1. The discovery. There are no mentions of 'Tsum Um Nui' anywhere; as he is supposed to have fled China and died in Japan in the 1960s this cannot be negated by Cultural Revolution, Communist coverup theory. Also, there is no mention of the 1938 archaeological expedition to the Banyan Kara Ulla range. No "Peking Academy of Pre-History" ever existed. 2. Early Sources. The earliest mention of the story is in Erich von Damien�s infamous 1968 book, Chariots of the Gods. The book has been widely criticized as unreliable; in fact, the vast majority of names and sources appearing in the book cannot be corroborated, and no existence of the following Soviet or Chinese scholars can be found anywhere outside this story: Cho Pu Tei, Tsum Um Nui, Ernst Wagener, Vyatcheslav Saizev, and Sergei Lolladoff. Most tellingly, D�niken gives his main source for the story as a Soviet science fiction writer Alexander Kazantsev; however Kazantsev himself disagrees with D�niken's account and says that it was D�niken who told him the story, not the other way around. 3. Later Sources. The 1978 book Sungods in Exile "edited" by David Agamon, appeared to lend support to the story of the Dropa, but Agamon admitted in the magazine Fortean Times in 1988 that the book was fiction and that its alleged author, a British researcher named Dr. Karyl Robin-Evans, was imaginary. 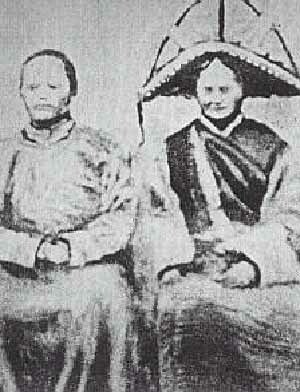 Some websites claim to show a photo of Dr Robin-Evans with the Dalai Lama. A frail, old man assisted by the current Dalai Lama, the photograph is quite recent and can not be Dr Robin-Evans -- he died in 1978, according to Hartwig Hausdorf. 5. The Disks. 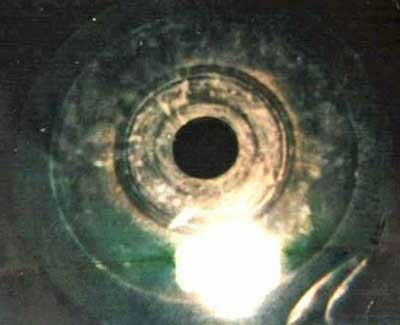 All that exists of the supposed alien disks are several wide-angle photographs. The disks photographed, firstly, do not match the described "12-inch disks"; the disks photographed are very large. Secondly, the photos show none of the supposed deep grooves. Finally, absolutely no photos, descriptions, analyses or any other evidence of the actual 'alien script' appear anywhere at all. 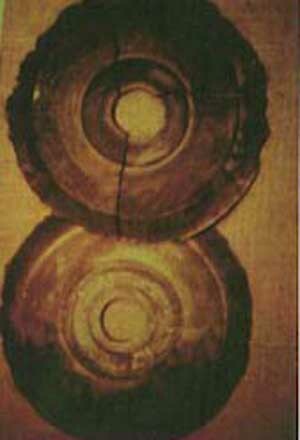 The Dropa Stones were first discovered in 1938, when a archaeological expedition led by Chi Pu Tei, stumbled across a cave high in the mountains that border China and Tibet. It was obvious to the archaeologists that the cave had been occupied by primitive people from long ago. On the walls of the caves were carved pictograms of the heavens and earth: the sun, the moon, the stars, and the earth, each connected with lines. Then came the most incredible discovery, half-buried beneath the floor of the cave was an odd stone disk, which was approximately nine inches in diameter and three quarters of an inch thick. In the center was a perfect 3/4 inch hole, with a fine grove spiraling out from the center, resembling that of an old phonograph record. A total of, 716 plates were found, and each held a secret. The groove on further inspection was a continuous line of strange carved hieroglyphic writing. Dr. Tsum Um Nui, in 1962, had the enormously difficult task of transcribing the character from the disks to paper. Eventually he made progress and a word emerged, then another, and another until an entire sentence, he had broken the code! Dr. Tsum Um Nui, discovered that the stones were written by a people who called themselves, the "Dropa", but what he was reading 12,000 years later did not make sense to him. However, when he had finished his translation, he wrote up a paper on his findings and presented it to the University for publication, however the reaction that he encountered was not what he expected. The Academy of Prehistory expressly forbade him to publish or even speak about his findings. The world, the Academy decided, would not know about the Dropa and their fateful journey to Earth! 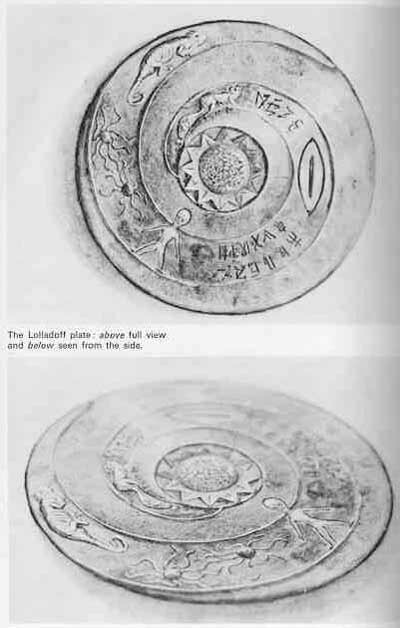 The 716 disc plates, tells the story of the, Dropa being a space probe from a distant planet that crash-landed in the Baian-Kara-Ula Mountains of the Himalayas. The occupants of the spacecraft, the Dropa, found refuge in a caves of the mountains, and further tell how they were unable to repair their disabled spacecraft, leaving them unable to return to their home planet, becoming stranded on earth. Why did the Academy of Prehistory forbid Dr. Tsum Um Nui, from publishing his paper on the transcriptions from the 716, ancient plates? The answer is out there!